When it comes to applying decor tricks, the size of the room does not actually matter, what really matters is the having the right set of creative ideas that can be customized for a unique interior decor style. 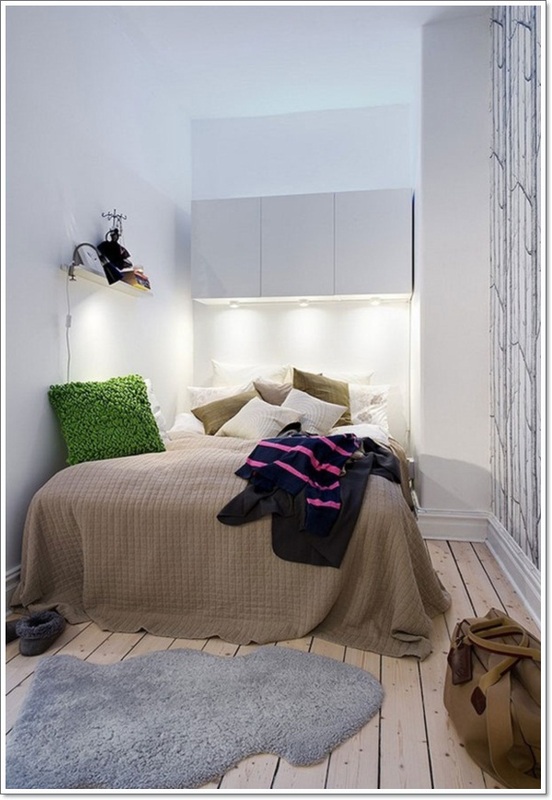 There are simple storage solutions, lighting solutions amongst other ideas that can be used in a small bedroom that ends up making the space look quite fascinating and spacious enough. 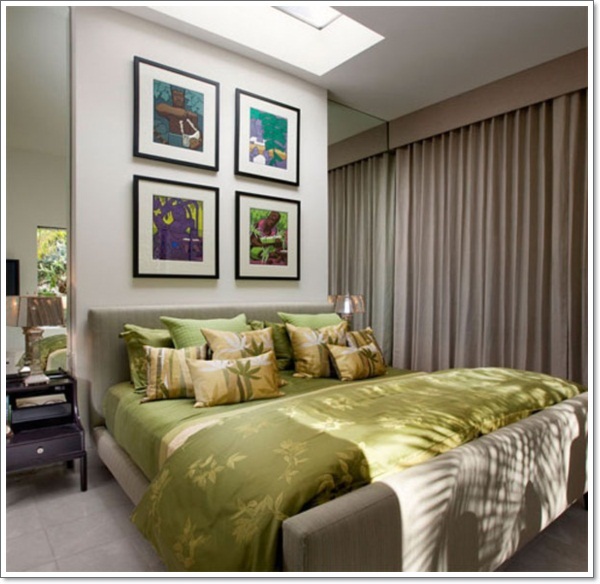 Below are some of the interior decorating tricks for small bedroom decor that can be utilised for a well designed bedroom. 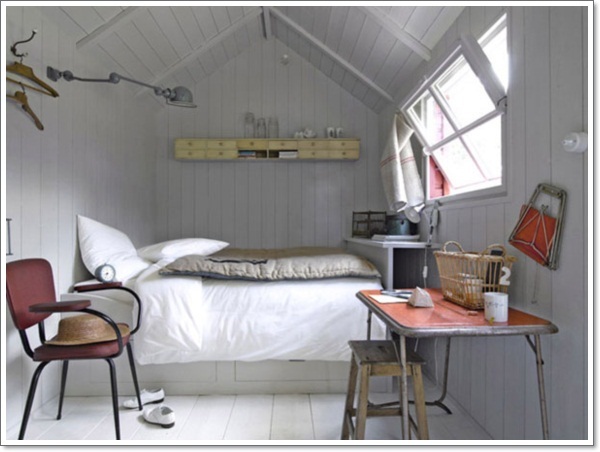 Many decorating guides will tell you that your small bedroom needs to be light and bright. It’s true that light colors make rooms look larger than they actually are, and they feel much brighter and more spacious because light colors bounce around the light you have to fill every corner. 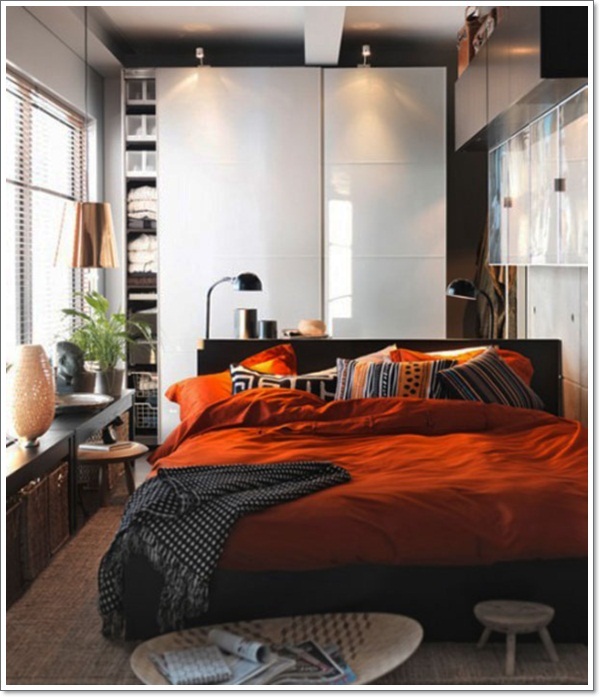 Don’t be afraid of going with dark and dramatic colors in your small bedroom. Bolder colors can create a much more enclosed feeling. 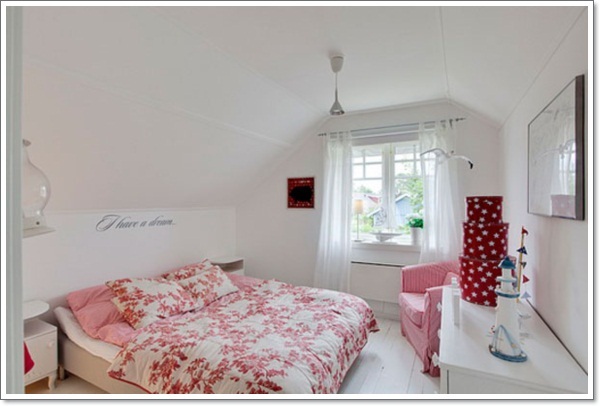 When decorated beautifully, the room becomes very cozy and intimate. If you don’t have a lot of natural lighting coming into the room, you might opt for the drama of dark shades and use more artificial lighting. 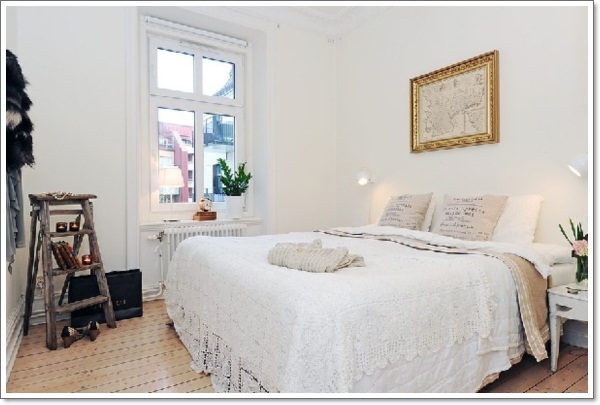 Use natural light coming into the room– light colors in a small bedroom is definitely one way to go. 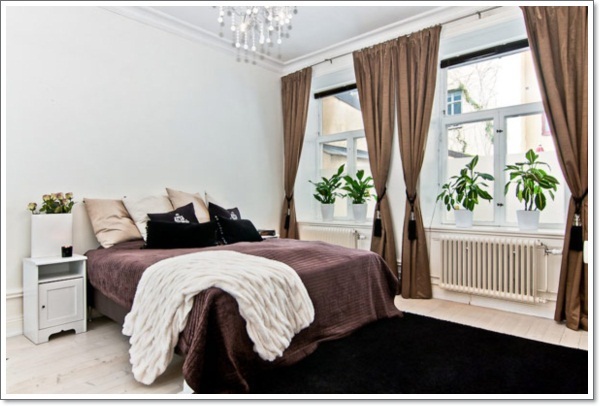 You can do without curtains altogether and cover your windows with frosted glass adhesive paper. This translucent paper will let the light stream in while giving you your privacy. Instead of fussy window treatments, shutters present simple, clean lines. Paint them the same color as the walls and it will help make the room look even bigger. Shutters are good at tightly closing out light when you need them to, but easy to open and let the light come through. Light gives the impression of open space, and shadows give the sense of confinement. 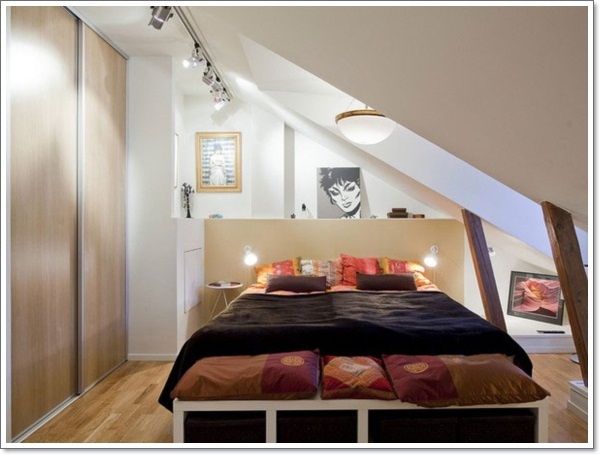 If you feel like the walls in your small bedroom are closing in on you, all you need is more strategically placed lighting. An overhead fixture is always ideal for general lighting. If you don’t have one, consider torchiere lamps. Sconces, hanging lamps and table lamps do a great job in illuminating any dark corners, particularly if the room is a dark color. Even in a small room, overhead lighting isn’t enough. Task lighting will give you the light you need to read, write or pursue any activities for which you need good lighting. A desk light or gooseneck reading light is ideal for task lighting. Add a little accent lighting here and there to give the room more character— recessed lights, art lights, light mounts for under shelving and even candle clusters bring a lovely ambience when you’re looking to relax and unwind. 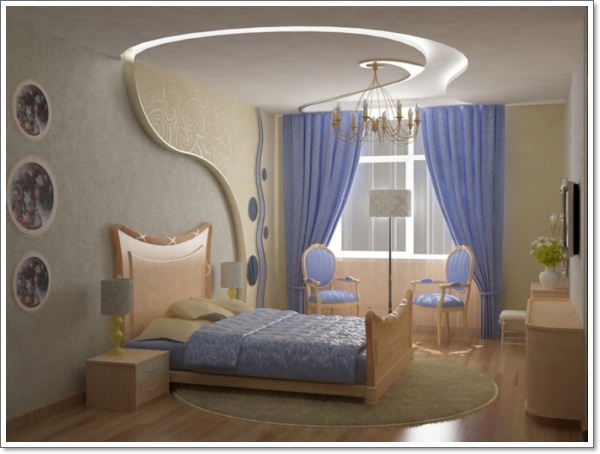 By layering the lights like this, you can really highlight your room’s best features. Generally when you decorate a room, you look down at your floor space and think about how your furniture will fit. 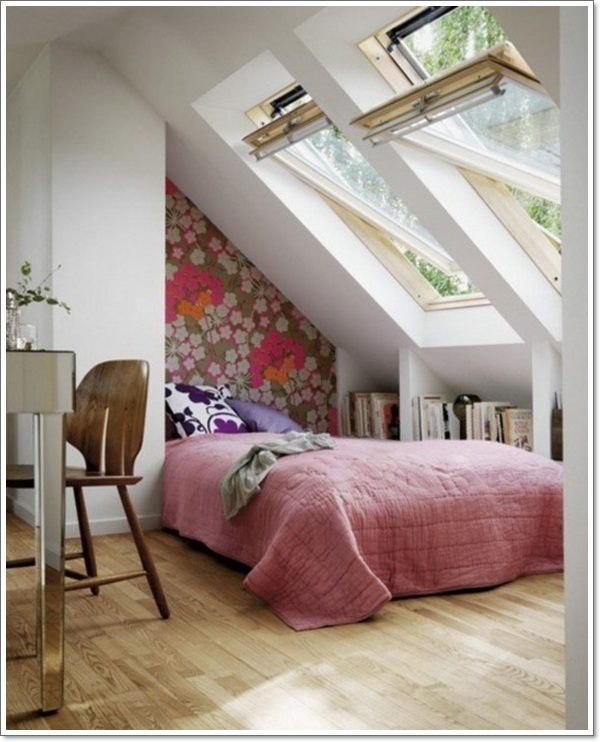 When you have a small room, instead of looking down, look up. A 6-foot tall amoire provides a lot more square footage of storage, but takes up the same amount of room as a short cabinet. A chest of drawers with 6 stacked drawers is much more practical than a 6-drawer side-by-side dresser. It’s tempting to buy smaller furniture pieces for a smaller room, but resist that temptation. Any furniture meant for storage in a small room should not be scaled down. It’s better to have one or two solid, functional pieces that take up vertical space than it is to have a multiple smaller pieces lining up along the walls like children in a school house. You do need storage in a small room, because any clutter and disorganization will be that much more pronounced. So get pieces that will really solve your problem. Instead of buying furniture, another great option is wall shelving. You can use up an entire wall with floor-to-ceiling, wall-to-wall shelving. Put a frame around it and paint it the wall color, and it’ll look like built-in shelving. It only takes up about 14 inches of space, but provides you with as much storage space as a standard closet. It’s a great way to organize books and collections. You can use it for utility storage as well if you get attractive boxes and baskets to put things into before lining the shelves with them. If you can’t put in shelves floor-to-ceiling, what about just a series of shelves about 14 to 18 inches below the ceiling? Line it with baskets and pretty boxes, and you have just given yourself an entire little storage loft. It’s important to keep it at a height so you won’t be in danger of clunking your head on it. Traditional beds can take up practically all of your walking space in a small room, and sometimes they’re just not worth it. 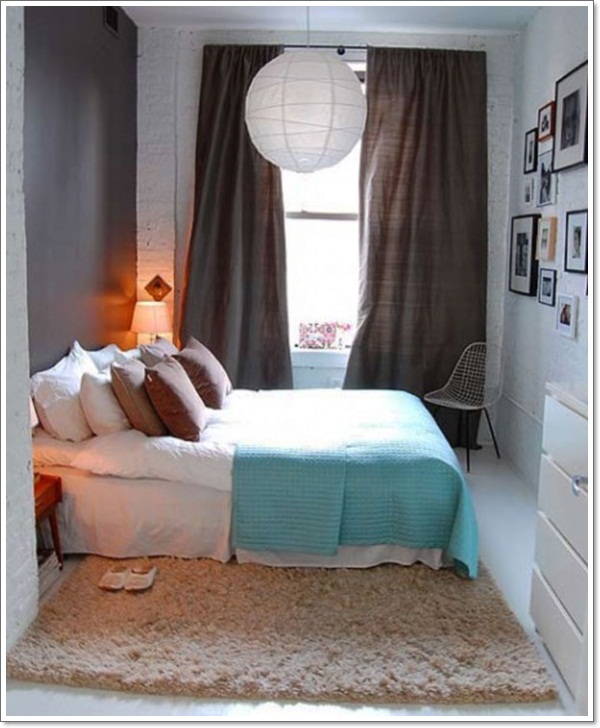 Try going with something untraditional to solve your small room decorating problems. 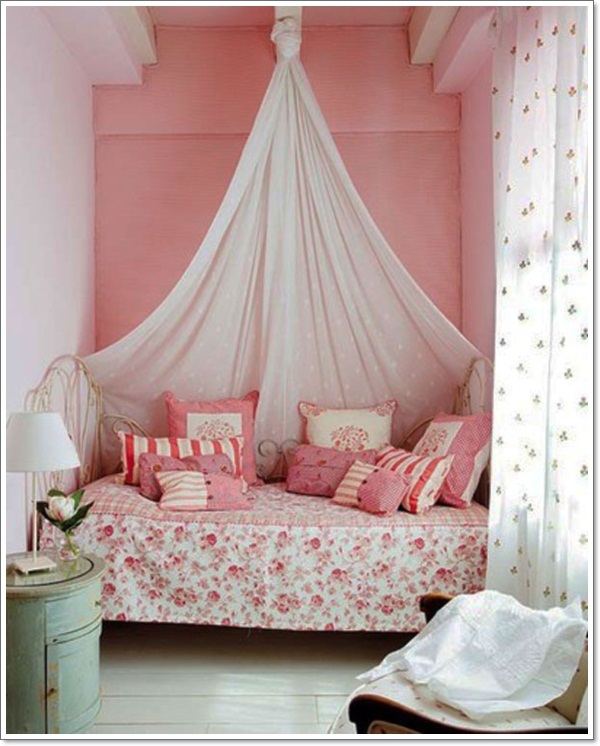 A day bed goes against a wall, rather than jutting out from it. With some pillows it can be turned into a couch-like seating area for day use—which eliminates your need to put any chairs in your room. A futon does double as a chair or sofa—so you get the best of both worlds. This is a particularly good idea for a teens or young person’s room if they like to entertain friends in there. Another option is a Murphy bed. If you think they’re too old fashioned, look again! New models are more cleverly designed than ever before. By day it’s a book shelf or home office—by night, a bed. All you have to do is pull a handle down to convert it from one to the other. 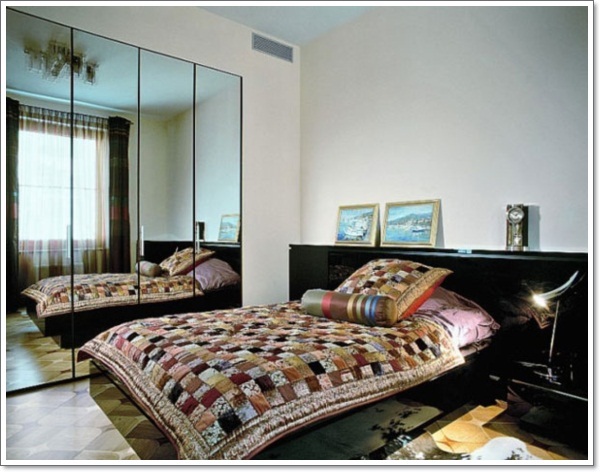 Large mirrors help to create an illusion that makes your room look bigger and more expansive than it actually is. 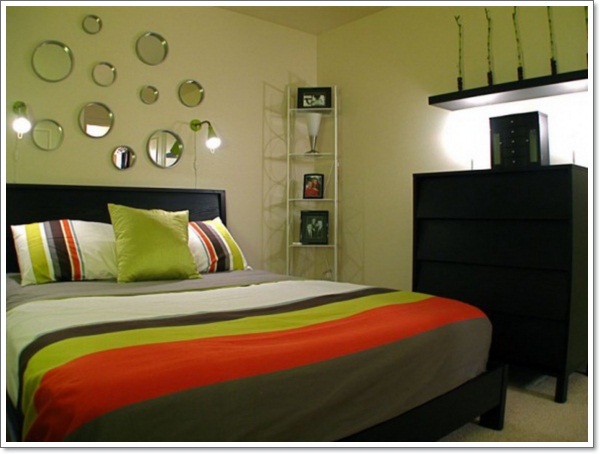 If you want to instantly take away that claustrophobic element to your room, a big wall mirror will do the trick. It also helps to bounce that light around. When adding decorative touches, go big and bold. 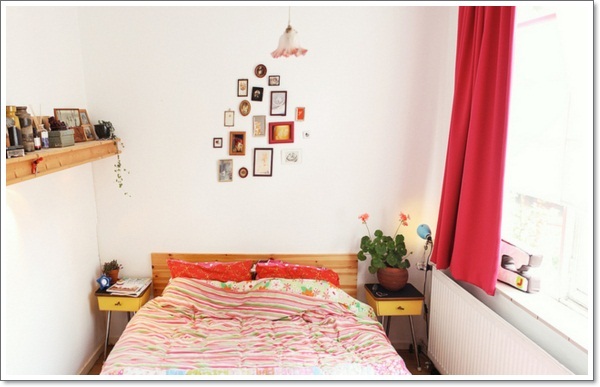 Small bedroom décor doesn’t lend well to clutter. For a decoration, it’s better to have a single item that gives a big impact than multiple little items competing in the space for attention. Artwork, for example, is better limited to a single, striking piece. It doesn’t matter if it’s a canvas painting, a wrought iron wall mounted sculpture or family portrait— get a single, decent-sized piece. Save the photo collages for another room. Likewise, it’s better to feature one ornate vase on a dresser top than show off a collection—save the teacup or porcelain figurine collections for a curio cabinet. Being your own toughest editor can pay off— and your room will thank you for it.